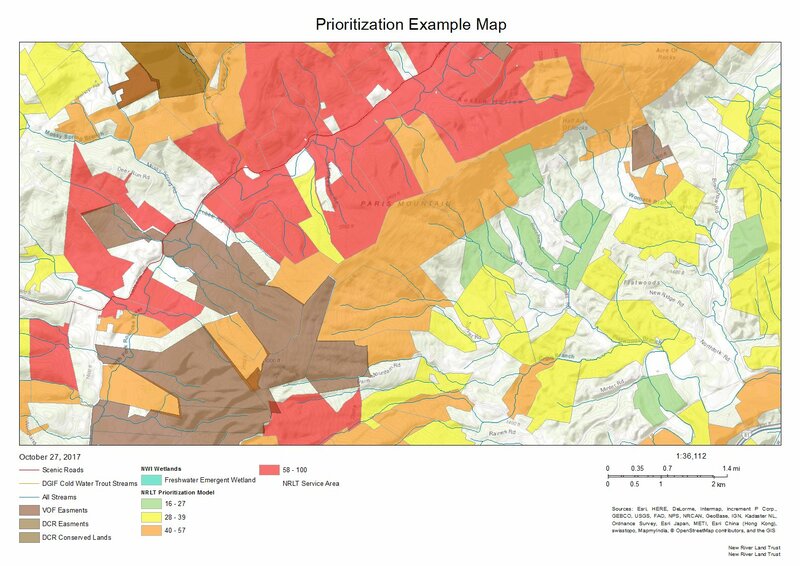 The New River Land Trust (NRLT) has been using Geographic Information Systems (GIS) data and technology for many years to guide its strategic conservation efforts. We use this technology to identify properties with high conservation values, such as those with wetlands, forests, wildlife habitat or scenic character. For 2017, we’re excited to announce that we have contracted with Marstel-Day LLC, a natural resource and environmental consulting firm, to do a comprehensive GIS system upgrade. This project is made possible by support from the Open Space Institute’s Resilient Landscapes Initiative, with funding from the Doris Duke Charitable Foundation and with additional support from the Land Trust Alliance Southeast Region’s Excellence Program. A more sophisticated and powerful tool with newly updated data, it will make it possible for us to do focused outreach to critically important properties. In addition, we can assess conservation values quickly and accurately when landowners come to us for information. It will also allow us to create tools and information that can be shared with municipalities and other partners both in and outside the New River region. The system will include resilient landscape data from The Nature Conservancy. Integrating these data will increase the NRLT’s focus on conserving the lands most likely to harbor wildlife, and protect natural resources under the conditions of climate change.